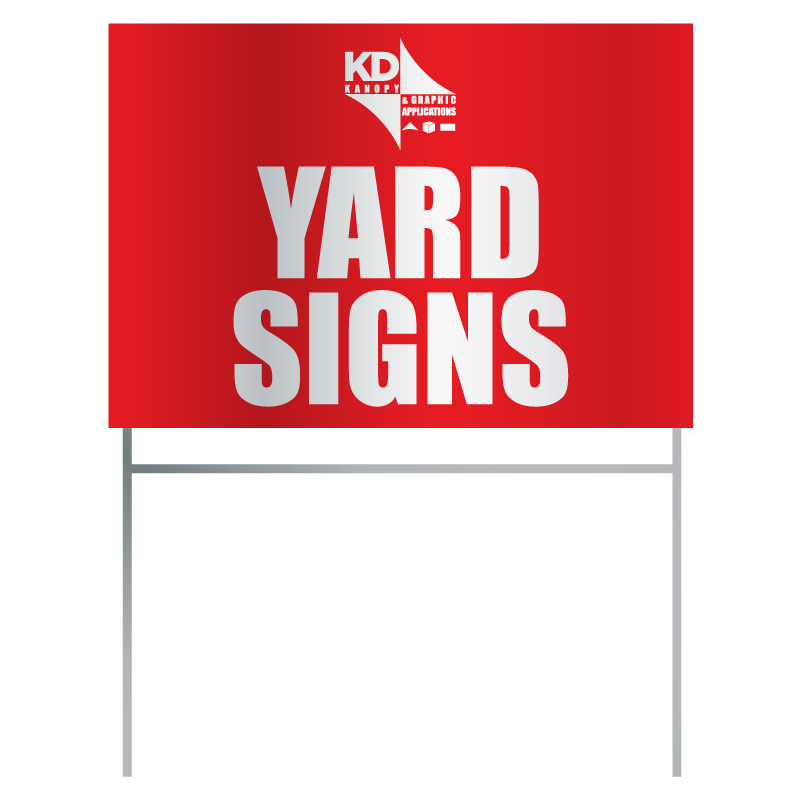 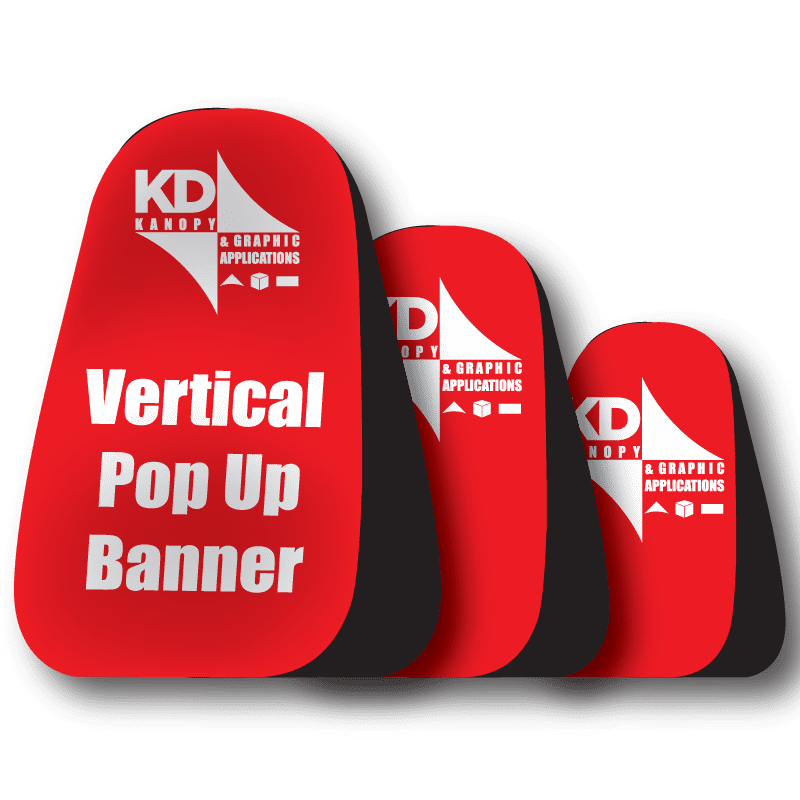 Our pop-up banner travels well and folds easily into an included storage bag. 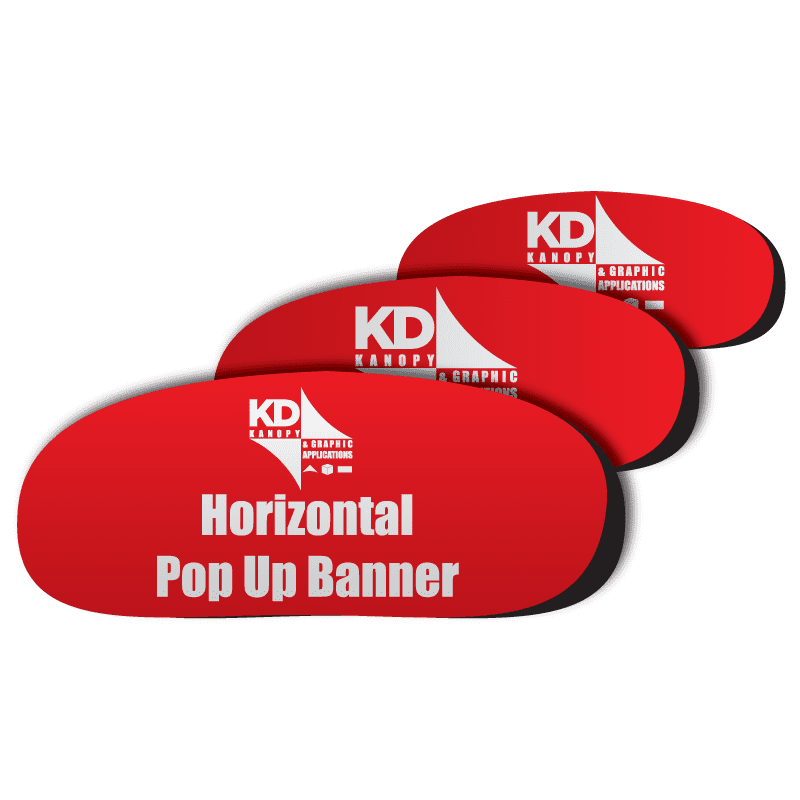 Peach-skin fabric with full coverage dye-sublimated printing. 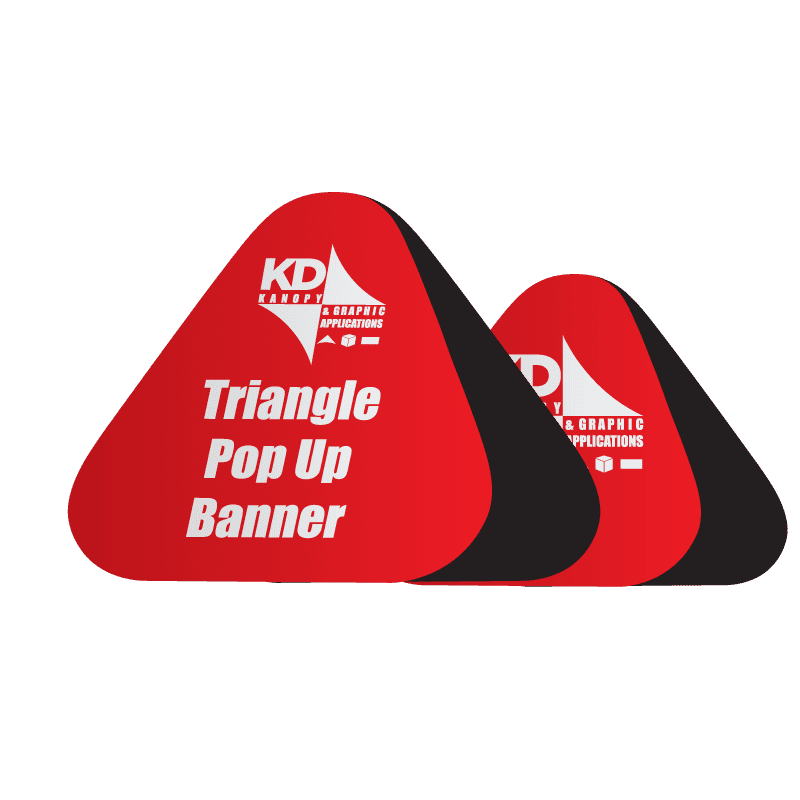 Two sided display. 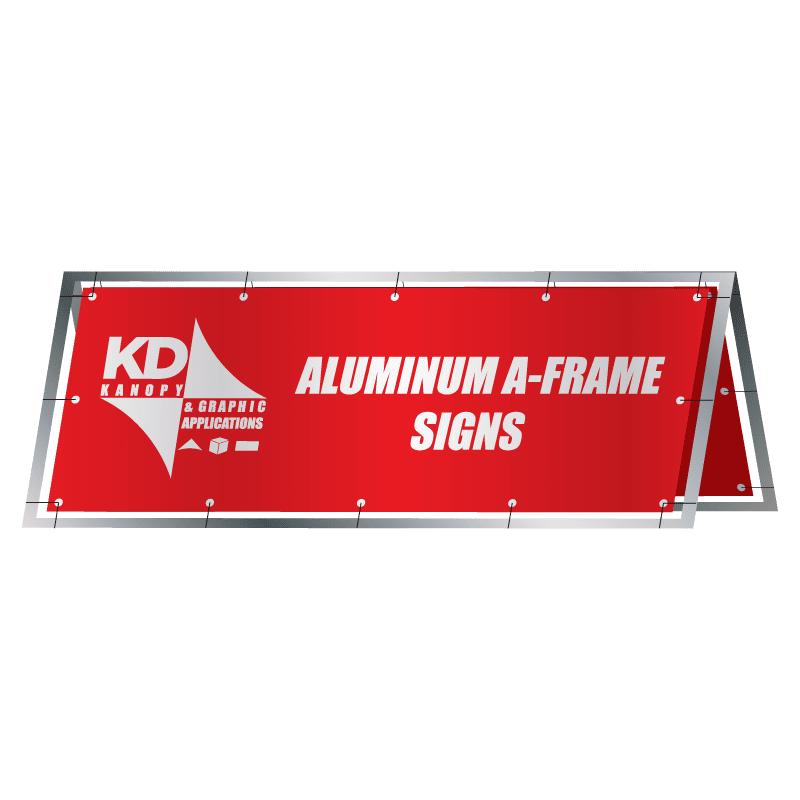 Anchors down with included steel stakes. 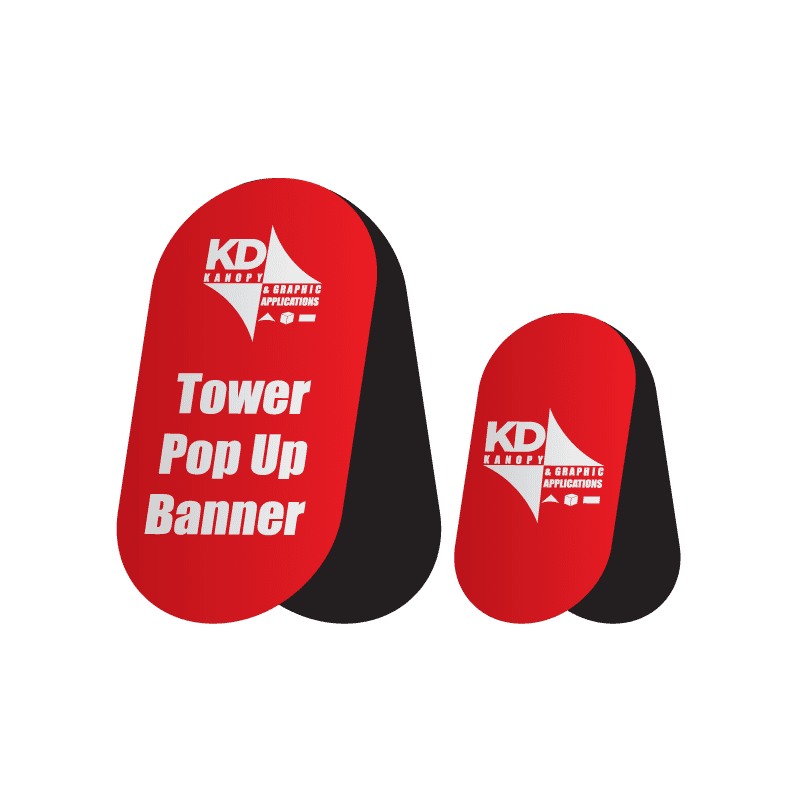 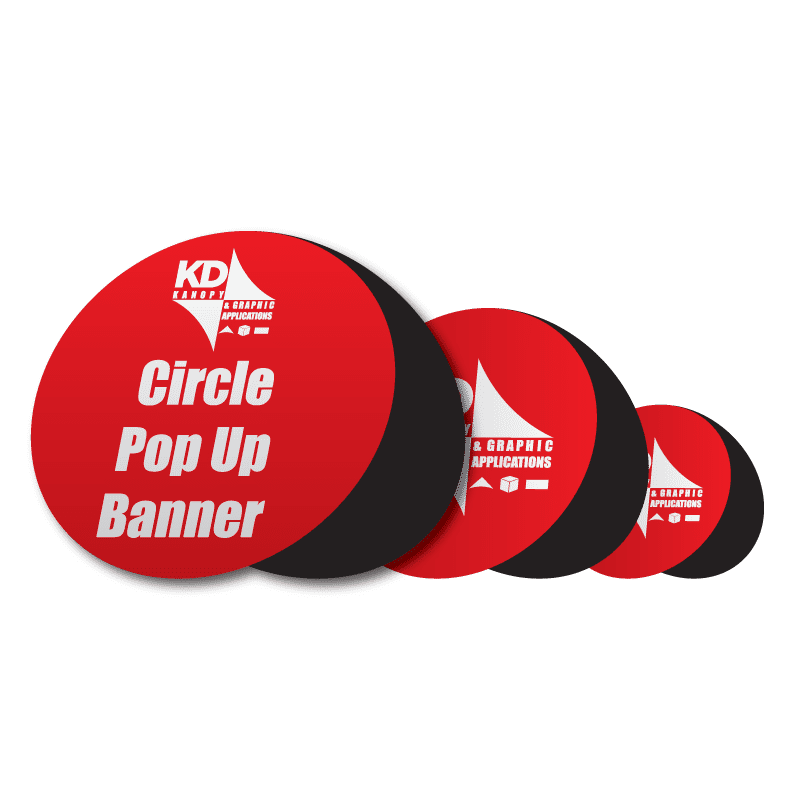 The tower pop up banners come in 2 sizes.